12VPN is a VPN service provider based in Hong Kong. In this 12VPN review, we will cover 12VPN’s features, server locations, security, price, connection speed and customer support etc. 12VPN offers VPN servers in more than 25 countries/locations, including U.S., U.K, France, Australia, Japan, Hong Kong, Taiwan, Korea and many more. 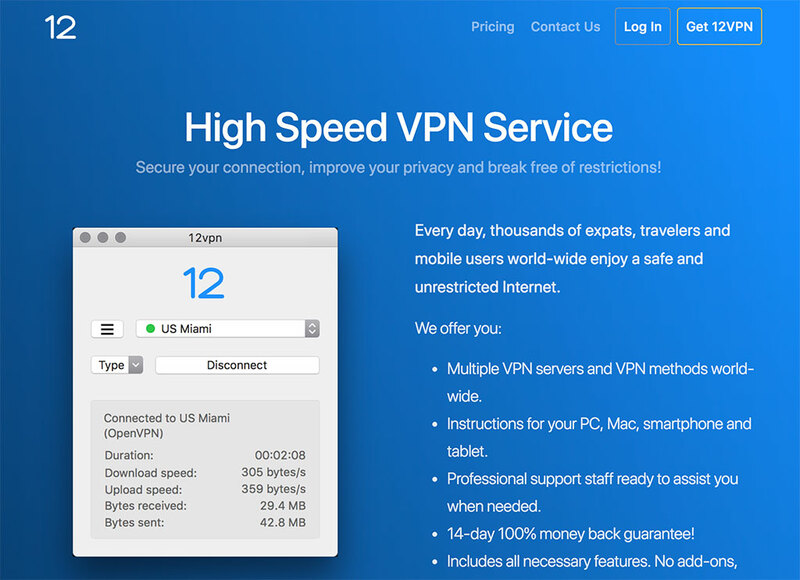 12VPN supports a number of VPN protocols, including OpenWeb, SSTP, OpenVPN, OpenConnect and Shadowsocks etc. 12VPN offers unlimited speed and unlimited server switching. 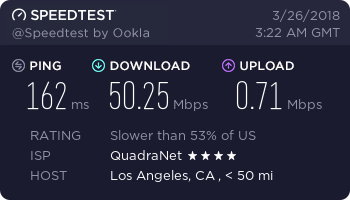 It does not have a limit on the number of simultaneous connections. However, 12VPN suggests that users should connect to different servers for each devices. 12VPN doesn’t keep user logs. However, bit torrenting is not allowed by 12VPN. 12VPN’s price starts from $5.99/mo (if you pay for 1 year). 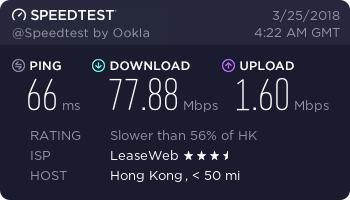 If you pay for 6 months, 12VPN’s price is $8.99/month. If you pay month-by-month, the price is $9.99/mo. SaferVPN offers a 14 day money back guarantee for users to test out their VPN service. 12VPN provides free VPN software for Windows, MacOS, iOS, Android etc. In addition, its VPN can be set up manually on the these operating systems and devices. With 12VPN’s client software, users can connect/disconnect VPN, as well as to choose server locations and switch between different VPN protocols. We found 12VPN’s software is very user-friendly and very easy to use. Ping: 66 ms, Download: 77.88 Mb/s, Upload: 1.60 Mb/s. 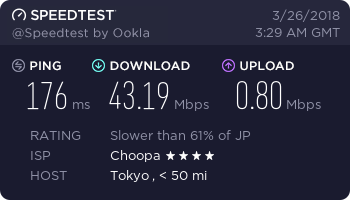 Ping: 176 ms, Download: 43.19 Mb/s, Upload: 0.80 Mb/s. Ping: 162 ms, Download: 50.25 Mb/s, Upload: 0.71 Mb/s. 12VPN’s customer support can be reached via email or support tickets (for existing customers). There’s currently no live support available. 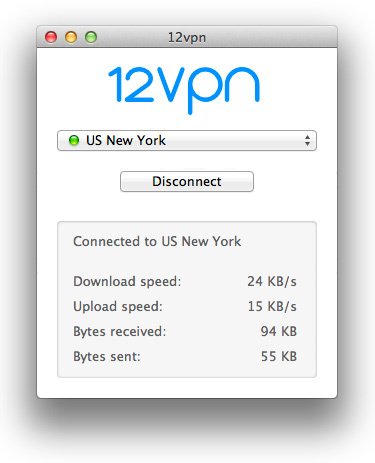 12VPN provides stable VPN connections, good VPN speed, multiple worldwide server locations and easy to use software. If you are shopping for a VPN service, you can consider 12VPN.